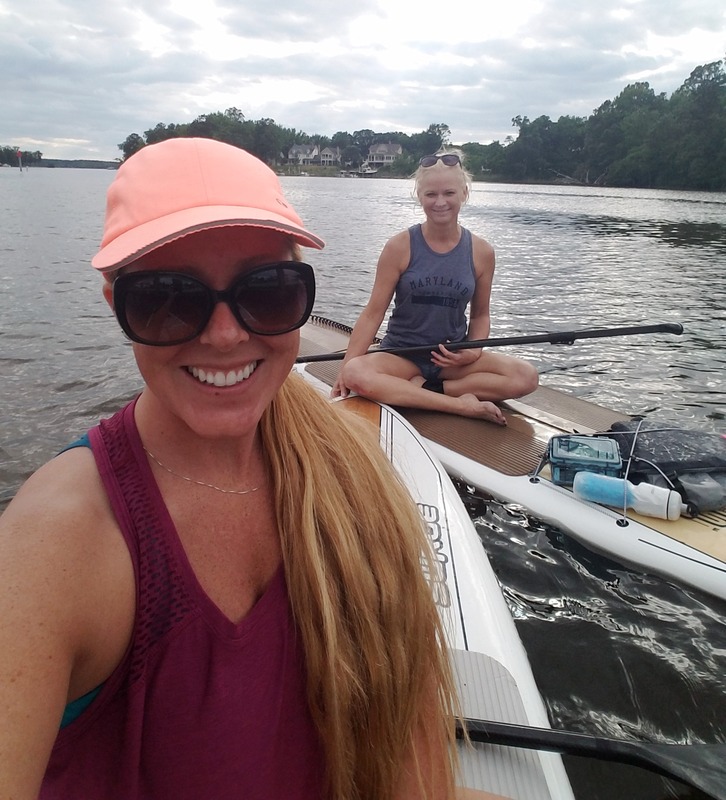 Paddlers will launch kayaks, canoes or paddleboards from Easton Point Marina to enjoy a 6-mile leisurely paddle along the Tred Avon River. 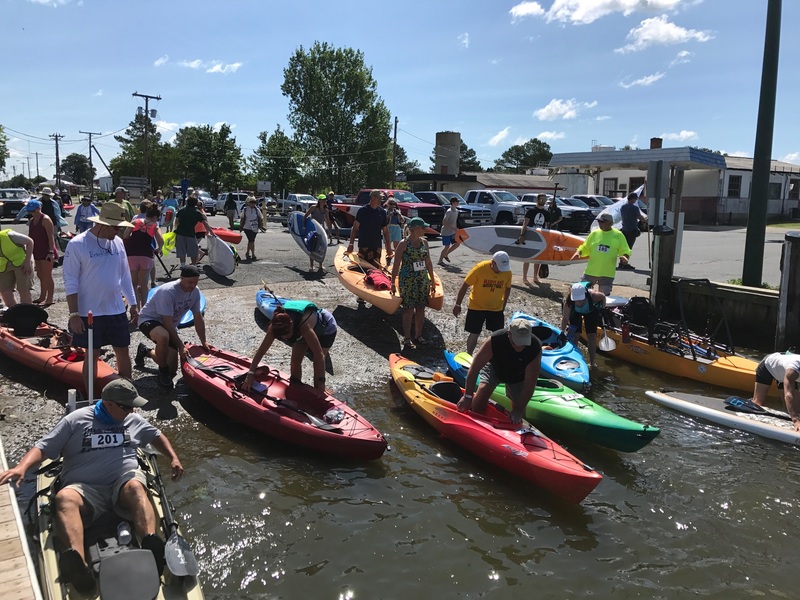 Paddlers will end up back at the Easton Point Marina where there will be live music, food, beverages and great prizes. Along the paddle route, participants may pick up poker carks at designated Paddle Jam boats and participate in the event poker game. Winning hands will receive prizes! 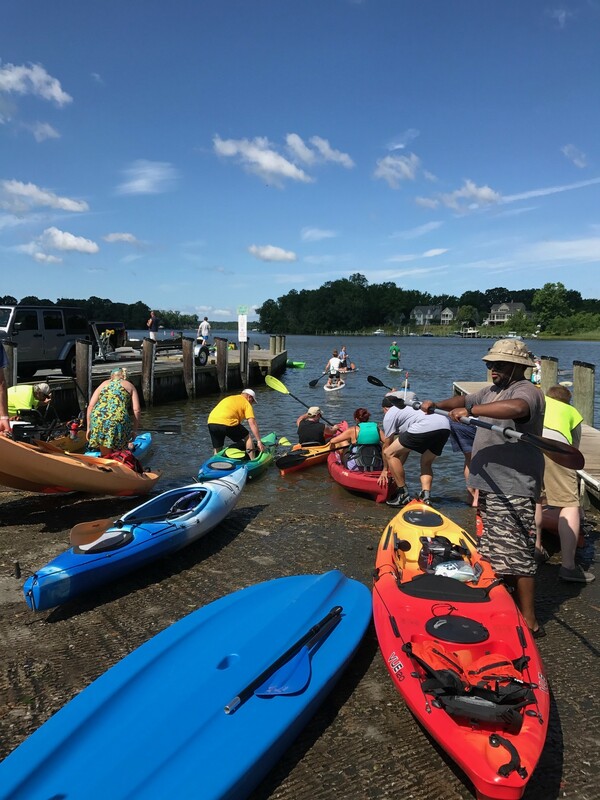 Talbot County Young Professionals are excited to bring Paddle Jam to the community. 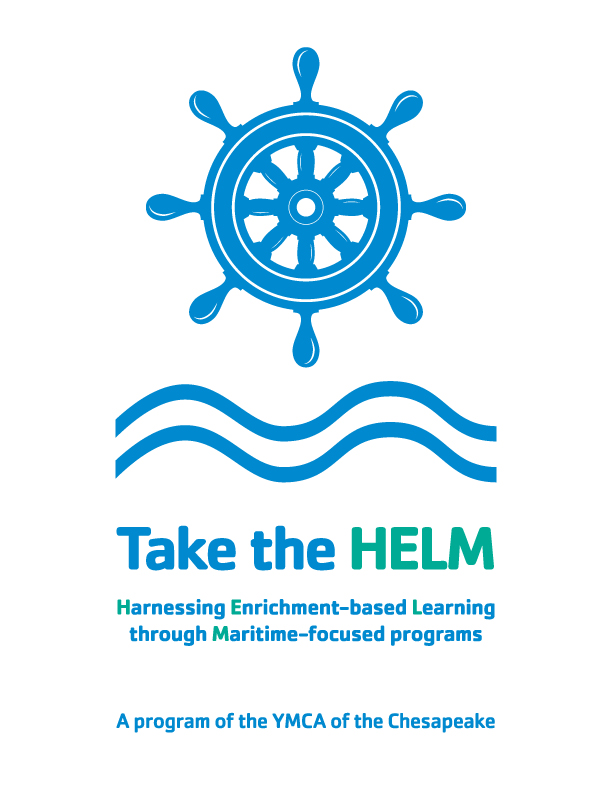 Easton Family YMCA’s Take the Helm is the event beneficiary. 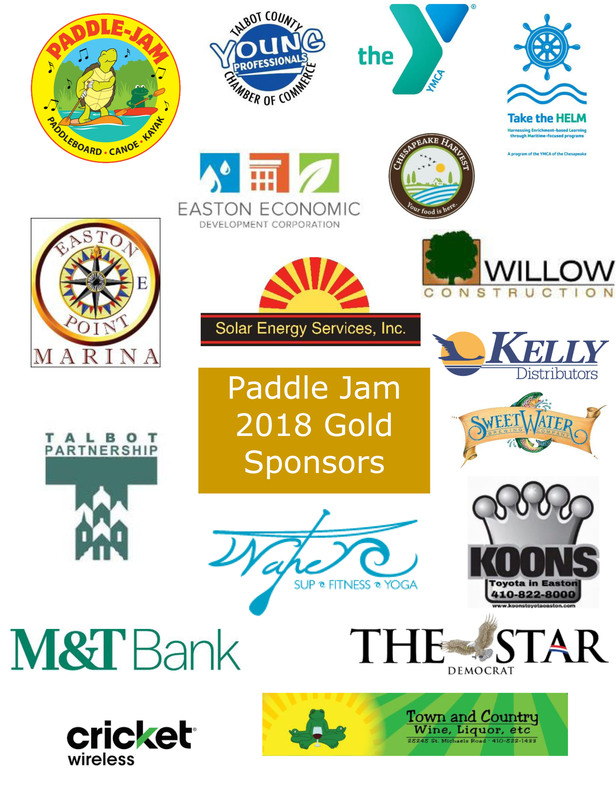 Interested in being a Paddle Jam sponsor? Contact Kristin at 410.924.5244. Need a stand up paddleboard (SUP) for the event? Contact DeeDee McCue at WAHE SUP, ddmccue@yahoo.com or 410.924.0919 to reserve one. Need Kayak for the event, contact Adam Hollis at Easton Family YMCA 410.822.0566 or ahollis@ymcachesapeake.org. 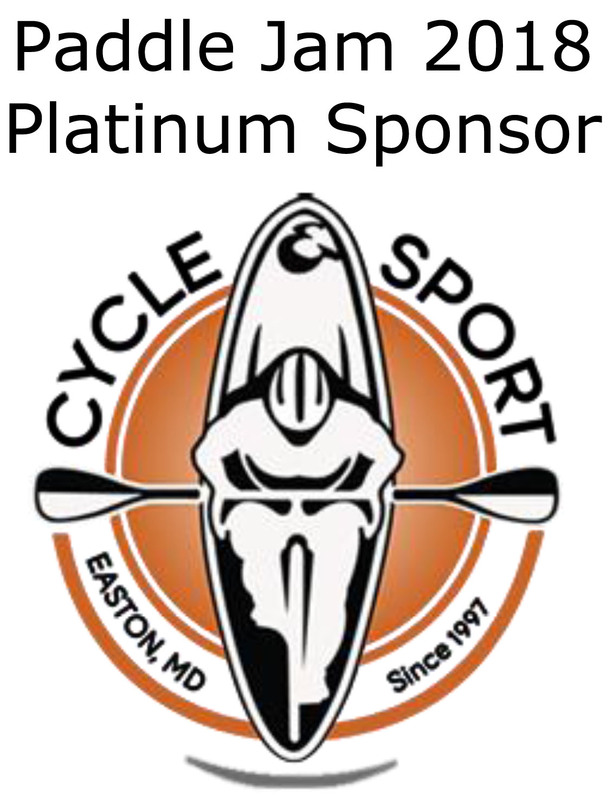 Easton Cycle & Sport has both Kayaks and Paddleboards available to rent or purchase, call 410.822.7433 or info@eastoncycleandsport.com. 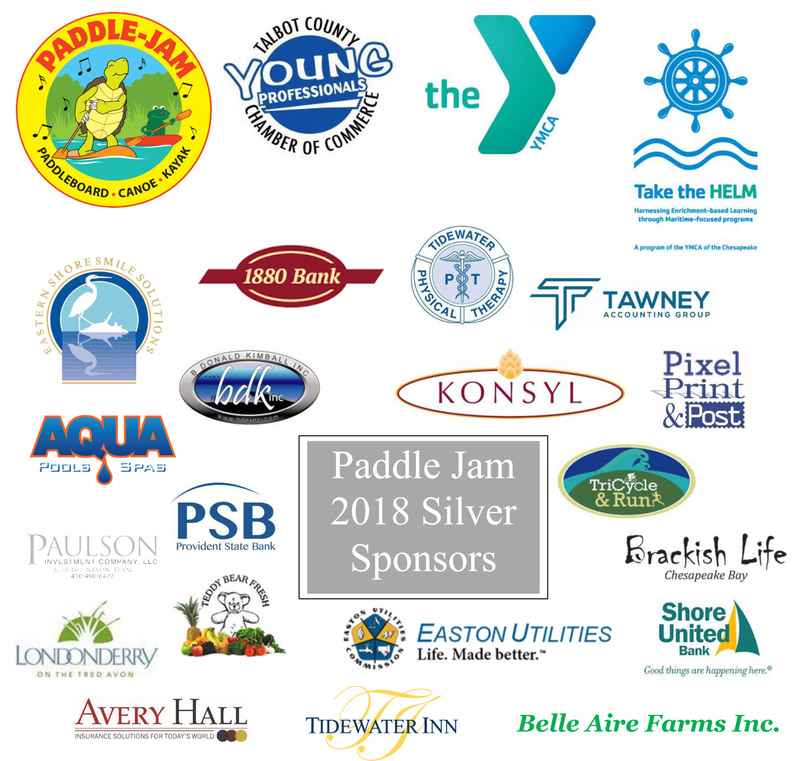 Thank You 2018 Platinum Paddle Jam Sponsor! Complimentary event shirts are moisture wicking t-shirts - Participants registering after June 3 are not guaranteed a shirt. Day of registration and check-in is 3- 4:45pm. There will be signage and volunteers onsite for parking and vessel drop off. Course is mapped out and boats are stationed along the way. Music and live band from 5-10pm. Please bring valid ID and life jacket. Must have a life jacket to participate in the water portion of the event.